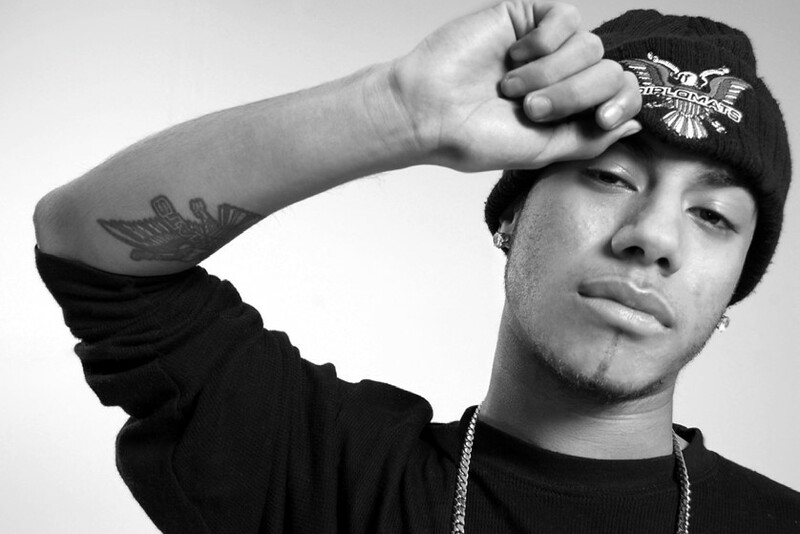 Rhode Island producer AraabMUZIK aka Abraham Orellana at only 21-years-old has been hailed as the 'MVP of the MPC'. Any of the Youtube videos out there of him going mental on the Akai, displaying mad skills of epic proportions are audio-visual testament to this. Besides having produced for the likes of Gucci Mane, Busta Rhymes, Ludacris, and remixing The Big Pink, he also makes beats for the Dipset crew including Cam'Ron and Duke Da God. What I'm doing is what the industry's looking for now, that's where music is heading to - what I'm bringing to the table is something new, it's what people want as something different. His free album released earlier this year, ‘Electronic Dream’, would be the perfect dinner party guide to Araab's own productions - brimming with dark, heavy electronic anthems fusing trance synths, hip hop beats and bizarro vocal samples. Known for his insane live shows incorporating mad rapid beat-making techniques, AraabMUZIK is set to make his debut London performance tonight. In support will be Cardiff's Darkhouse Family (aka Metabeats & Don Leisure), ahead of their upcoming EP on Earnest Endeavours, and Patchwork Pirates. Dazed Digital: Your music can generally get pretty dark/creepy, was this something you set out to do? Or would you describe your stuff differently? AraabMUZIK: I only like making dark music, everything that's like that kind of sound... though I don't really think that all I do is dark.. It's powerful music, over time I add other stuff on top but it's [always] real hard-hitting, the way I EQ and master it - it's loud. DD: Where did the trance elements stem from, was that something you grew up with, or a relatively new influence? AraabMUZIK: I guess I got into that sound like a few years ago when I developed my style in electronic music. That's how the whole electronic gene came about, composing those beats together and putting them out there. I put together different styles and genres, I don't spend too much time on one sound, I like to do a lot of stuff and switch it up. DD: Do you think more people trying to do this kind of sound now? AraabMUZIK: What I'm doing is what the industry's looking for now, that's where music is heading to - what I'm bringing to the table is something new, it's what people want as something different. DD: Why did you think those combinations of music fit together? AraabMUZIK: It just kinda happened, through the different sounds I took in when I was growing up, trying out styles. But there's no particular sound anymore, I just like to keep everyone anticipating. To come up with things that haven't been done yet. DD: How did the work for the designer Patrik Ervell come about? AraabMUZIK: Yeah I composed something for a fashion show, it was pretty much different things that kind of like mould to the feel or whatever, so I pretty much just did what he wanted me to do. He suggested stuff, the style of music but it was kind of examples he wanted and I did my own thing, I matched the feel. AraabMUZIK: The sequel to 'Electronic Dream', called 'Electronic Reality' which is out December 13th. I'm really enjoying the tours and shows right now too, expecting a lot of energy in the crowd [in London], having a bigger fanbase in the UK, so it'll be great being able to actually go out there and bring new stuff from the studio out.